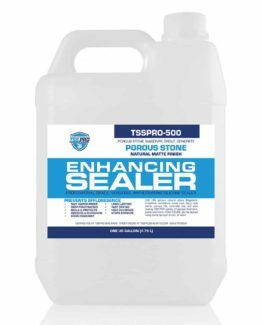 TSS PRO 550 provides exceptional repellency against the most aggressive oil, water, red wine and soil based stains. It provides peace of mind from common kitchen, shower and outdoor cooking stains such as soda, oils, ketchup, mustard, red wine etc. On unprotected stone, these common stain-producing products soak in and leave unsightly, difficult to remove stains. Interior, exterior, residential and commercial use. NOTICE: This product IS VOC compliant. Consumers in VOC regions CAN purchase this product. 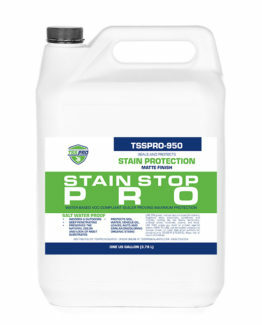 TSSPRO 950 offers maximum protection against the toughest outdoor stains. This water-based sealer was developed to fight stains from soil, water, vehicle oil, leaves, nuts, and other similar discoloring stains. 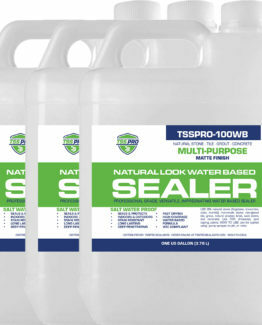 NOTICE: These products ARE VOC compliant and available in all 50 states and Canada. 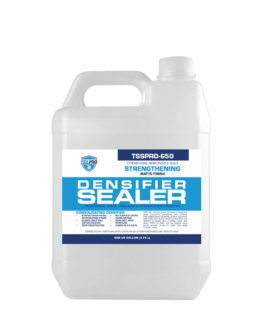 TSSPRO-CD1 is cutting-edge technology for hardening and densifying old and new concrete; it is a water borne deep penetrating, solution for greatly increasing surface hardness and sub-surface densification. 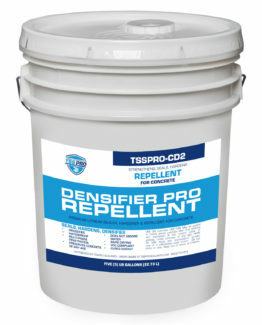 TSSPRO-CD2 Densifier Pro is a powerful water-based sealant that prevents water entry and dramatically densifies and strengthens concrete and concrete products of any kind with permanent results. Auxiliary products that compliment our other products, including sample packs and additives.